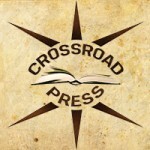 Hotspur Publishing is very happy to announce an agreement with Crossroad Press to publish the Star Hounds series under the Crossroad’s imprint. All three original novels by David Bischoff plus two new novellas co-written with Saul Garnell will be available on Amazon, Barnes & Noble, Sony, Apple, Diesel, Kobo, and Smashwords. If you don’t know about Crossroad Press, then you should. It is a growing independent publisher that has published over 650 titles. Crossroad’s original objective was to find out of print books that had been forgotten in the digital age, and bring them back to life as eBooks. As the company grew, Crossroad picked up authors like Clive Barker, Jay Bonansinga, P. F. Kluge, James Dalessandro, Joe Lansdale, Jack Ketchum, Chet Williamson, the estates of Hugh B. Cave and Irving Wallace, International best-selling authors Thomas Sullivan and William Bayer, most of the estate of Charlie Grant, works by John Farris and Neil Barrett Jr., and even the eBooks for the Stargate Series. In addition to out of print classics, Crossroad has developed some original series with increasing success. Crossroad Press was founded by David Niall Wilson, who has been writing and publishing horror, dark fantasy, and science fiction since the mid-eighties. 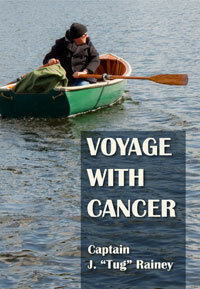 David’s background in genre fiction is extensive. He was once President of the Horror Writer’s Association and multiple recipient of the Bram Stoker Award. His novels include Maelstrom, The Mote in Andrea’s Eye, Deep Blue, the Grails Covenant Trilogy, Star Trek Voyager: Chrysalis, Except You Go Through Shadow, This is My Blood, Ancient Eyes, On the Third Day, The Orffyreus Wheel, and Vintage Soul – Book One of the DeChance Chronicles. In addition to his novels, he has over 150 short stories published in anthologies, magazines, and five collections, the most recent of which were Defining Moments published in 2007 by WFC Award winning Sarob Press, and Ennui & Other States of Madness, from Dark Regions Press.